Submitting a biography to The Indiana Biographies project is actually very simple. First, everyone should review the Submission Guidelines. Next, prepare the biography. The preferred method is to create a text file. (review the Text Editing section for help with text files). HTML documents, make a good second choice, and simply typing the biography as an e-mail is the least desirable of the three. Ultimately, it will be up to the individual County Coordinator to decide how they want their biographies prepared. Text and HTML documents can both be posted directly to the county pages, but, HTML requires much more work to archive and index. Last, submit your biography by sending it as e-mail or an e-mail attachment to the County Coordinator. The e-mail address of each County Coordinator is listed on the county's Biographies Home Page or on the County Selection List. Please be aware that by submitting a biography to the Indiana Biographies Project you have given permission for representatives of the Indiana Biographies project to examine this file for the purpose of extracting the names of individuals for indexing purposes. Biographies may also be edited to append the name and e-mail address of the submitter. This is first and foremost; DO NOT post materials protected by copyright other than your own! 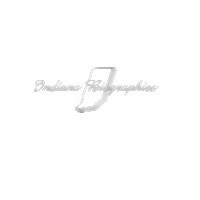 Any posted biographies found to be protected by a copyright of someone other than the submitter must be removed from all Indiana and/or county Biographies pages. Books and biography collections printed prior to 1928 are generally not protected by copyright and are considered to be in the public domain. Photo-static re-prints or duplications of pre-1928 works are not protected by current copyright. The short story here is: Make sure your source books are pre-1928 originals, or re-prints or copies of pre-1928 originals. Make sure all original works are accompanied by your copyright notice, which is at the least the word "copyright", your name, and the date. There are several different ways to create text documents. Most of us use some type of word processor such as WordPerfect or Microsoft Word. The Windows95 WordPad, Windows 3.1x Write, and the MS-DOS Text Editor can also be used. The difference in the various programs is going to be how the program handles the end of each line. In order to be formatted correctly for a web browser, each line must end with a "Carriage Return" (aka the "ENTER" key). Most word processors use "word wrap" or "line wrap". This means that when you have typed to the right margin, the program will automatically move the cursor to the left margin and down one line but does not insert a carriage return. This makes the program easier to use but it also makes a text document that contains a single very long line of text (sample). Therefore, saving a text document using a word processor requires that you somehow include carriage returns at the end of each line. In Word, clicking on FILE|SAVE AS and then setting the file type as "DOS Text with line breaks" accomplishes this. WordPerfect has a similar function available. For best results, configure your page settings with a width of 65 (6.5") or less. This can be best accomplished by setting the page size to 8.5 X 11 and setting the Left Margin to 1.2" and the Right Margin to 1.3". These setting will create a biography that is easy to read and doesn't over-run the right margin. If you use a text editor such as the MS-DOS Text Editor, or Windows Notepad, you must manually insert a carriage return at the end of each line. Notepad will allow you to set a page size and margins, but will still not automatically handle the carriage returns. When creating your biographies, remember to put a heading at the top of each one that identifies you source book, author, and publication date. You will also need to include your own by-line at the bottom of each biography in the following format: Submitted by: Your Name (your_email@isp.com) Check out this sample biography.